In the midst of the political upheavals that engulfed Myanmar from 2010 to 2011, international attention was fixed upon the military regime and its dissident opponents. But away from the cameras, a very different set of struggles unfolded across the country, struggles that quietly but effectively transformed the status quo. Taxi drivers transported black market goods so that people could avoid buying from the state. Community organizers started schools. Farmers hid crop surpluses and business owners hid their profits. People brokered and paid bribes to gain favors from local officials. 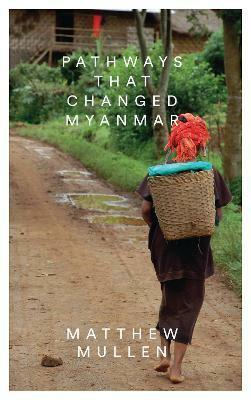 Pathways that Changed Myanmar gives voice to the stories of the ordinary Burmese citizens whose efforts were pivotal to shaping life on the margins of society. Drawing on extensive fieldwork and hundreds of interviews with citizens across Myanmar, Matthew Mullen challenges the popular caricature of Myanmar as a society governed by fear and silence, and shows how people have been able to endure and effect meaningful change through subtle, everyday acts of resistance.